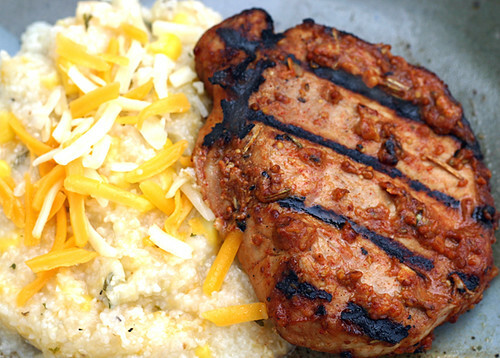 This has a flavor packed marinade that keeps the chops moist and delicious. I just made a batch for Fred & Patty! I hope you enjoy them as much as we do! Seal, massage and set aside. Pull out chops and heat marinade in saucepan until 165°. Broil or grill pork over medium high heat until 150°.